How mainstream is marijuana use today? In 2015, Canadians spent about as much on marijuana as they did on wine, according to that country’s Bureau of Statistics. Canadian and American societies are not exactly alike, but on this front the similarities are likely much greater than the differences. Like wine, recreational marijuana is an enjoyable indulgence for most adults, even if some struggle with abuse. Like wine, marijuana has been found to offer health benefits when used in certain ways and in certain amounts. Unlike wine, however, marijuana was illegal in Canada (as it is here) – in 2015. Canada’s parliament passed The Cannabis Act last month, meaning that soon Canadians will have opportunities to buy and consume cannabis legally for recreational as well as medical purposes. (Medical use has been legal in Canada since 2001.) 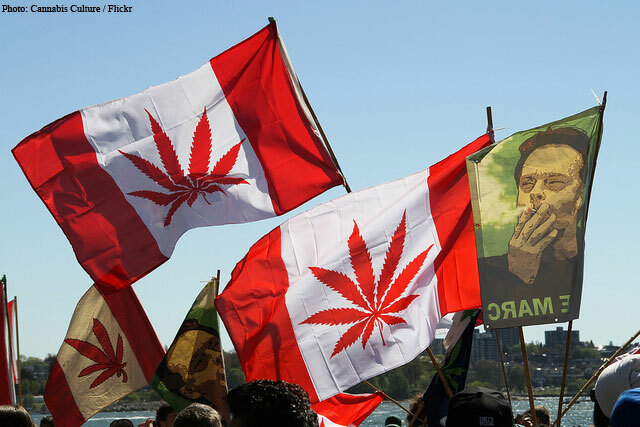 Canada is the second country to legalize recreational marijuana, following Uruguay. Prime Minister Justin Trudeau said that marijuana will be legal nationwide starting Oct. 17, a timeline designed to give provinces and territories enough time to set up the marijuana marketplace, retrain police and publish detailed regulations. Each province will develop its own rules for cannabis sales. The new law allows Canadians to grow up to four plants for personal use, or to buy cannabis and cannabis oil from licensed producers. 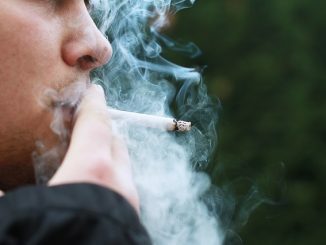 Adults may possess up to 30 grams (about one ounce) in public; the minimum age will be either 18 or 19, depending on the province, as with alcohol sales. Foods incorporating marijuana will not be available right away, in order to give regulators time to develop rules specific to those products. Of course, there were objections to the new law from both sides. Some opponents warned that the law would “normalize” marijuana use, and questioned the law’s impact on public health. Meanwhile, some legalization supporters argued that penalties for possessing more than 30 grams or buying from an unlicensed dealer are too harsh, especially in comparison for the legal penalties for selling alcohol to someone underage. No law is perfect, and it will take some time see how the new law as written actually affects Canadian society. After all, Canada is a much larger country than Uruguay, which means that it is effectively breaking new ground. But Canadian lawmakers did well to take action, even so. In Canada, as in the U.S., prohibition has not made it difficult to obtain marijuana, but it has enriched those who met consumer demand. As Canada’s justice minister, Judy Wilson-Raybould, said of the new law, legalization “leaves behind a failed model of prohibition that’s made organized crime rich and left our young people vulnerable.” While this would be enough of a reason alone to legalize marijuana, Canada’s government also stands to benefit directly; it estimates that it will collect roughly 400 million Canadian dollars ($301 million) per year in tax revenue going forward, most of which will be earmarked for the provinces. Not only does prohibition enrich criminals and cartels, but here in the United States, it contributes to and illustrates some of the systemic problems with our criminal justice system. Marijuana cases can involve years-long miscarriages of justice, defendants pinning their hopes on jury nullification, and the since-discontinued “stop and frisk” policy in New York City that led to the harassment of innocent New Yorkers and distrust between police and their communities. Last month, NYC Mayor Bill de Blasio rolled out a new policy, in conjunction with the NYPD, designed to reduce misdemeanor arrests by directing police officers to issue a criminal court summons to those caught with marijuana. Though critics have wondered whether the policy’s many exceptions will essentially make it useless, at a minimum the announcement illustrates that the serious problems connected to marijuana prohibition in the U.S. continue unabated. Nine states and the District of Columbia have legalized recreational marijuana use. But, as Attorney General Jeff Sessions has made explicit, states do not have the power to override federal law classifying marijuana as a Schedule I drug, meaning it is not truly legal anywhere in the country. It is up to Congress to admit that our decades-long “war on drugs” is not only a failure, but was misconceived from the start. I have been arguing that they should do so in this space for nearly a decade, and the logic has not changed. It is heartening to see our northern neighbors taking a sensible approach to regulating, rather than prohibiting, a substance that many of its people already use for both pleasure and relief from pain. We would do well to follow their lead – the sooner, the better.